AAA Equipment Rentals is your one-stop shop for hot and cold water power washers in Nyack, NY. 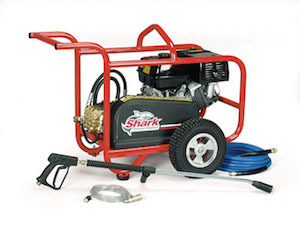 Our large inventory of pressure washers includes portable units that are easy to pickup and transport so you can complete your job hassle free. We carry pressure washers from 2700 psi to 4000 psi. AAA Equipment Rentals will have all of your power washer needs to do your job. Whether you’re power washing your house on the weekend or a commercial contractor looking for the most advanced and high-pressure, we have what you need to do the job.